We have been trying for a whike now to bring these guys to Fiddle Fair - absolutely amazing! 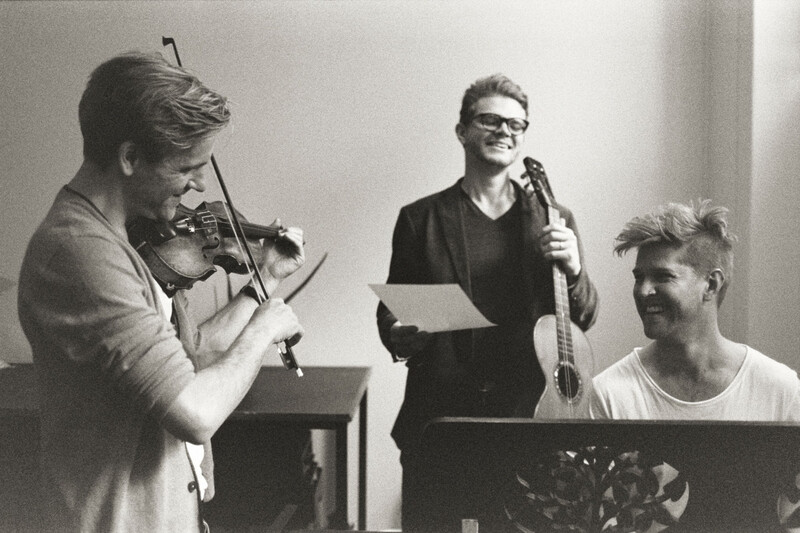 The three members of Dreamers’ Circus first encountered each other at a late night, post-concert jam session in Denmark some ten years ago. They immediately hit it off both on a musical and a personal level. Since then the band has toured all over the Nordic countries and Europe, they’ve played the Sydney Opera House in Australia and have made a number of tours in Japan. Rune Tonsgaard Sørensen is from Roskilde on the outskirts of Copenhagen in Denmark. He started playing violin when he was five years old. In 2001 he founded the Danish String Quartet, which is one of the leading chamber music quartets in Europe. This Grammy nominated ensemble has won many prizes and awards. Rune’s father is from the Faroe Islands that lie in the north Atlantic between the west coast of Norway and Iceland. His own upbringing was in a family that valued traditional music, song and dance. Before he devoted his life to full-time touring with Dreamers’ Circus and the Danish String Quartet, Rune was leader of the Copenhagen Philharmonic Orchestra while still in his early twenties. Rune plays a Giovanni Baptista Guadagnini violin which is generously loaned to him by the Goof Foundation. His bow is by Eugene Sartory (1910). Nikolaj Busk - Accordion and Piano. Danish born Nikolaj Busk has been a significant figure on the Danish music scene for a number of years now and is in much demand as a composer and music arranger across a number of musical genres. He has won no less than 13 Danish Music Awards for his releases and collaborates with various artists. Nikolaj has written music for other ensembles, choirs, orchestras and theater performances. Nikolaj’s accordion is by Pietro Mario. Hailing from the southern Swedish region of Skåne, Ale Carr was raised in a family of folk musicians and dancers. His style incorporates a strongly developed rhythmic drive coupled with a sensitivity that always seeks to serve the music. He is recognized as one of Scandinavia’s most talented folk musicians and leading innovators on plucked string instruments. Also a highly respected composer, he was presented with a Danish Music Award as Composer of the Year in 2015. Apart from his work as a member of Dreamers’ Circus, he also toured with the folk music group Basco. Ale plays a Nordic Cittern,designed by the Swedish luthier Christer Ådin. He uses Thomastik- Infeld strings.